Winnipeg lies at the confluence of the Assiniboine and the Red River of the North, a location now known as "The Forks", and has more than 6,000 years of history as a result of its significance as an aboriginal meeting place. From the 17th to 19th centuries, the area flourished as the hub of Canada’s fur trade and then later again as a key site of early railroad development. We would be happy to help you extend your stay in Winnipeg before or after your Churchill adventure. Here are some suggestions for activities and events that Winnipeg has to offer just a short taxi ride away from your Winnipeg hotel. 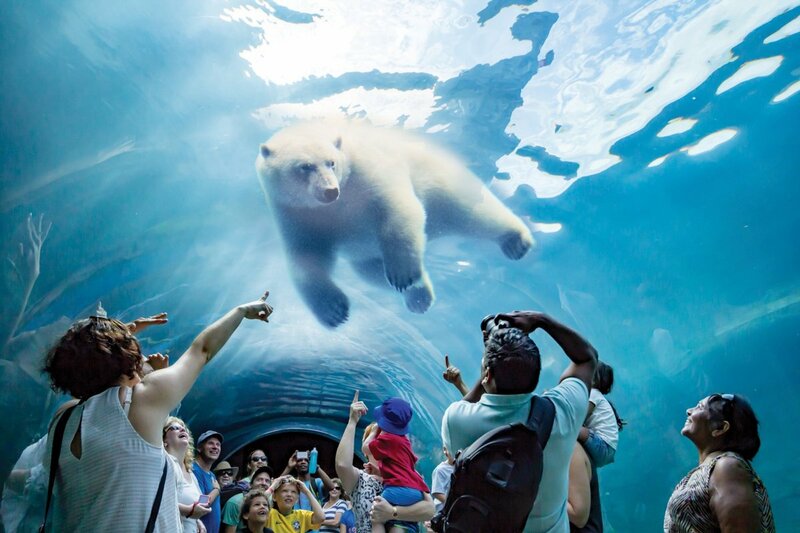 The Journey to Churchill is Assiniboine Park Zoo’s newest exhibit that transports guests to the arctic without leaving Winnipeg. The exhibit is home to polar bears as well as other arctic animals, scenery, and landscapes. Journey to Churchill takes guests through a 10-acre route that features the Wapusk Lowlands with boreal forest and tundra, the Gateway to the Arctic where guests can watch polar bears and seals swim in water above them from behind a glass enclosure, and through Churchill Coast that replicates the actual Town of Churchill. Journey to Churchill has set a precedent for arctic zoo exhibits and will help leading scientists research and educate on topics surrounding climate change, polar bears, and the arctic. The zoo is located inside the 293-acre Assiniboine Park that has many a similar design theory as Central Park in New York City. Read all about our staff's tour of the Journey to Churchill on our blog. 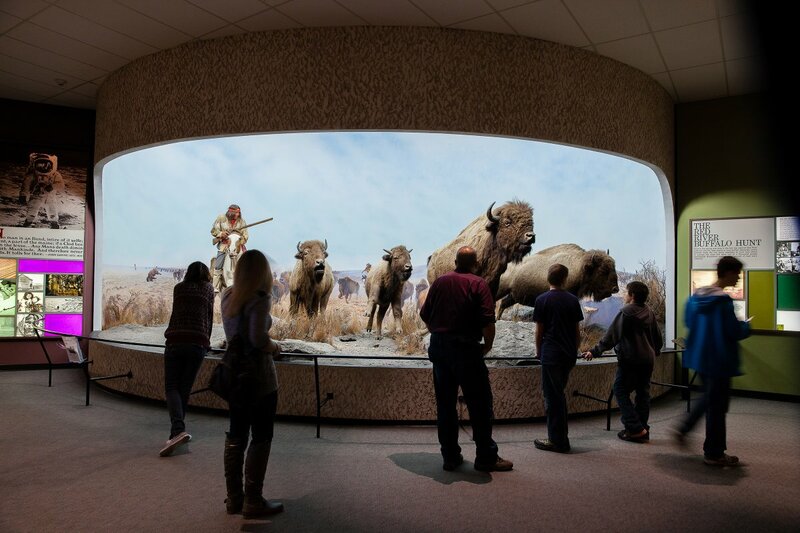 The Manitoba Museum is renowned for its combined human and natural heritage themes. Guests can experience what Manitoba was like during the roaring ‘20s, discover the replica 17th century ship the Nonsuch, and view Churchill as it was 450 million years ago when it was covered by a tropical sea. The Manitoba Museum is home to the Hudson's Bay Company Gallery chronicling the history of the fur trade in Manitoba. The Manitoba Museum is home to three distinct venues – the Museum Galleries, The Planetarium and the Science Gallery. 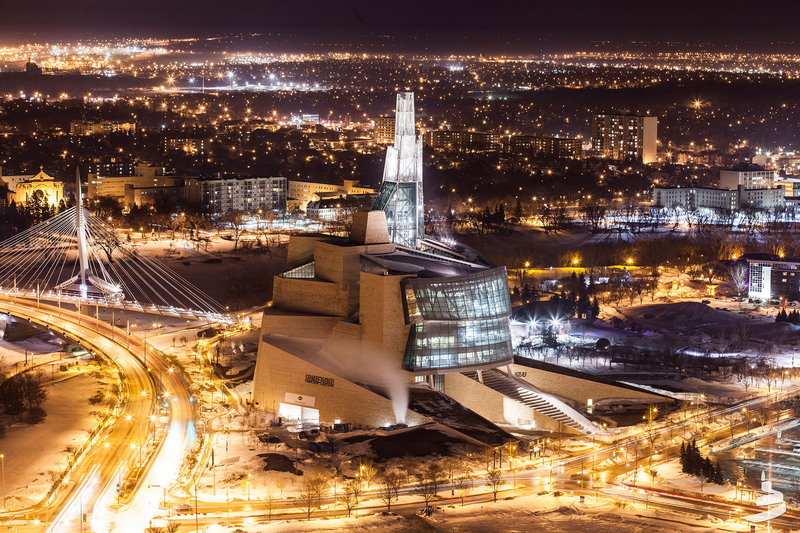 Located at the heart of Winnipeg, the CMHR is the first national museum dedicated to human rights, and the first national museum built outside our nation’s capital, Ottawa, Ontario. The museum features exhibits that reflect on understanding human rights, what they are, and how to protect them. Each exhibit builds on the last, reflecting on national topics such as the indigenous people of Canada, voting rights, the Chinese head tax and French language rights. The museum also features international exhibits with a broad range of topics like the Holocaust, and the genocide in Armenia, Rwanda, and Bosnia. Although these exhibits reflect on some of the darkest times in history, guests leave the museum with a renewed sense of hope for tomorrow’s generations. Want to spend more time in Winnipeg during your Churchill adventure? We would be happy to arrange additional nights and activities in our gateway city. Contact one of our adventure planners for more information.